ScreenCraft Gifts Makers Jon and Julie Rousseau head up the third-generation family business in Rhode Island where they're dedicated to helping folks celebrate special places. 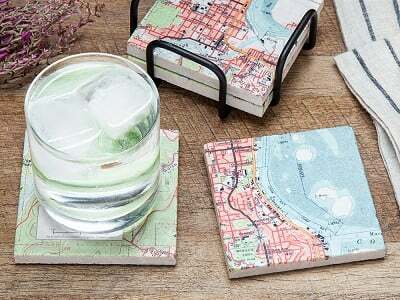 The map-themed coasters and clock start with marble sourced from Turkey. Stones are carved from large blocks and then tumbled to give each its own unique personality and to let natural characteristics shine through. Back in Rhode Island, the map of your handpicked location in the United States (and the nine mile-surrounding area) is applied. A compass rose marks the spot, and the map’s legend can be customized, too. We like that the pieces are all functional as well as commemorative. 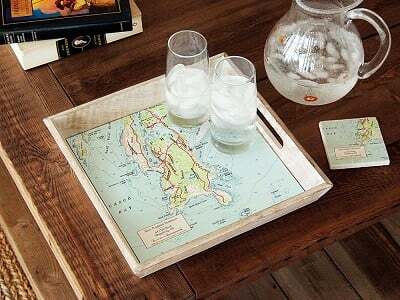 The serving tray is crafted from Indian mango wood and the marble clock and coasters both come with a cast iron stand. 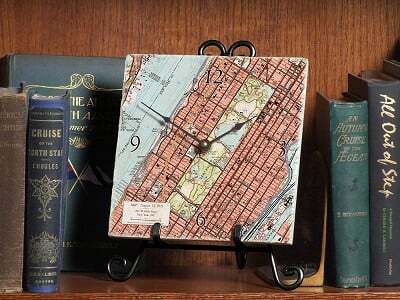 Each of these is a lovely way to remember a special place, or can make for a meaningful personalized gift, too. What locations can I get on my map piece? The map can be of any square inch of the United States. Simply provide the address of your favorite place and they'll generate a custom map showing roughly nine square miles surrounding your location. 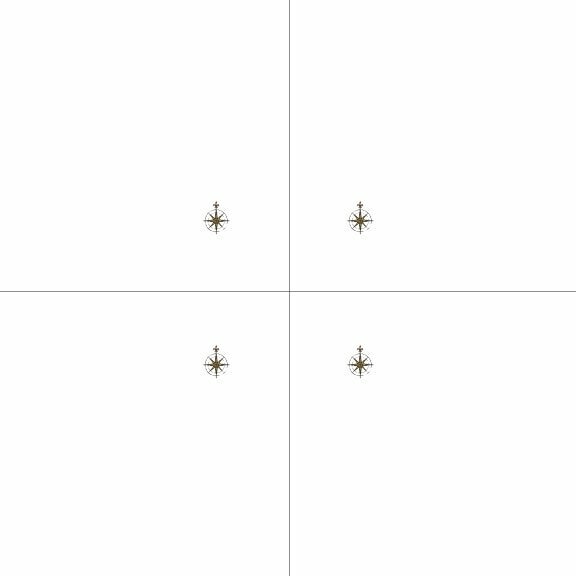 A small compass rose will mark your location and the legend lets you title the map for the final personalized touch. The maps showcase a 3 x 3 square mile area around the address provided. The compass is placed directly on the address. The specified location will appear in one of four locations. This shift in the map allows them to both not lose the compass in the middle of the coasters or underneath the clock mechanism, but also make artistic choices in the map to showcase the most pleasing finished product possible. 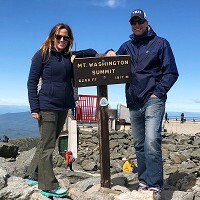 ScreenCraft Gifts Makers Jon and Julie Rousseau head up the third-generation family business in Rhode Island where they're dedicated to helping folks celebrate special places. 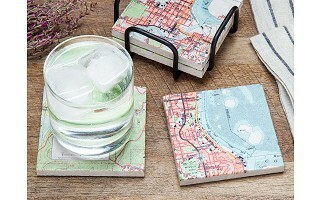 The map-themed coasters and clock start with marble sourced from Turkey. Stones are carved from large blocks and then tumbled to give each its own unique personality and to let natural characteristics shine through. Back in Rhode Island, the map of your handpicked location in the United States (and the nine mile-surrounding area) is applied. A compass rose marks the spot, and the map’s legend can be customized, too.